With this work, author Ellis opens up a long lost culture as extraordinary as any found in a fantasy novel. Young Inca girl Micay (“Beautiful Round Face”) is taunted by the boys of her village and called Millay (“Ugly One”) instead because of a scar that mars the right side of her face. Micay feels isolated and worthless due to her appearance, but things begin to change for her when a tribesman from the jungle defends her against her chief tormentor, and gives her as a pet a young macaw the boys were also treating cruelly. The man names the bird Sumac Huanacauri (“Handsome Rainbow”). Before long, Micay dares to approach the village shaman to become his apprentice, learns the uses of herbs and plants to treat illnesses, and begins to feel useful in a way that is completely new to her. But times are hard for the people of Micay’s village and the empire as a whole because of a continuing drought. An unexpected sacrifice by Micay helps to break the drought and reveals an important destiny that her shaman had long believed to be Micay’s. 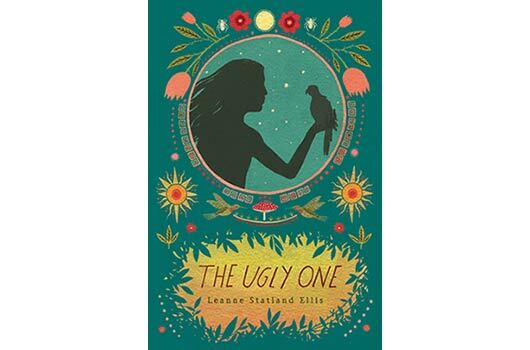 Ellis’s hand on the plot of this unusual novel is sure, and the chapters simply fly by. Readers who may feel themselves unattractive or inconsequential may especially find in Micay an inspirational role model, but many more will find the introduction to this unfamiliar culture and the universal difficulties and pleasures of Micay’s life—both as an individual and as a member of her family—entrancing. —Reviewed by Cooper Renner, retired librarian, El Paso Independent School District, Texas.